It is designed specially for eTricycle and eBike Power battery, which it packed in series by 5 PCS 12V20Ah~300Ah cells. The Battery Intelligent Maintenance Equalizer is installed onto battery bank in everyday's driving, That means your power Battery Capacity Equalization in real time. By adding our Battery Smart Equalizer Pro to your power battery bank, the cell batteries are desulfated and equalized on a consistent basis so they will always be in as new ones. 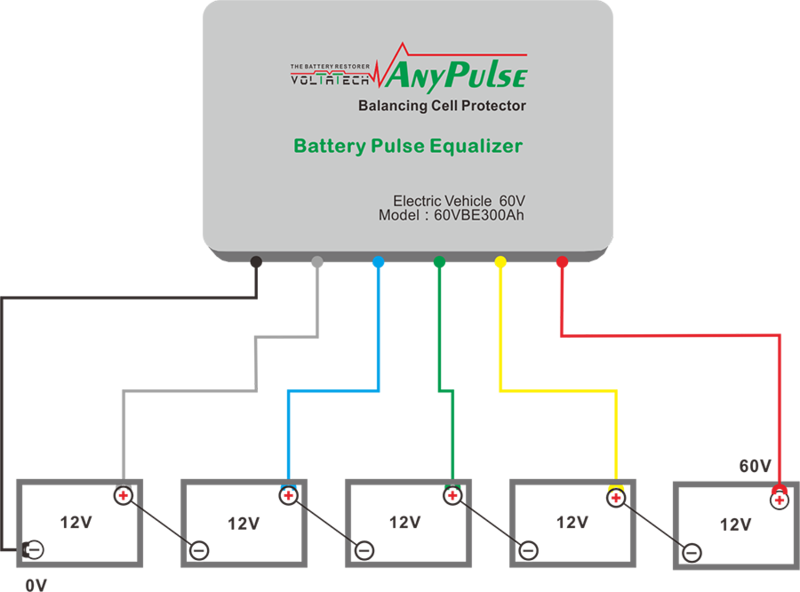 To increase battery capacity and voltage of a EV's power system, cells have to be connected in series or in parallels. Due to unequal self-discharge and physical variations of the battery cells as different as it was made in factory, the SOC of the cells will differ sooner or later in the following no matter whether it used or not. Therefore, the discharge process has to be stopped when one weakest cell has reached its minimum voltage and the energy in the other cells is waste. The utilizable energy of a series circuit is limited by the weakest cell in the pack. Looking for ideal Battery Intelligent Maintenance Equalizer Manufacturer & supplier ? We have a wide selection at great prices to help you get creative. All the Battery Smart Equalizer Pro are quality guaranteed. We are China Origin Factory of Battery Capacity Equalization. If you have any question, please feel free to contact us.